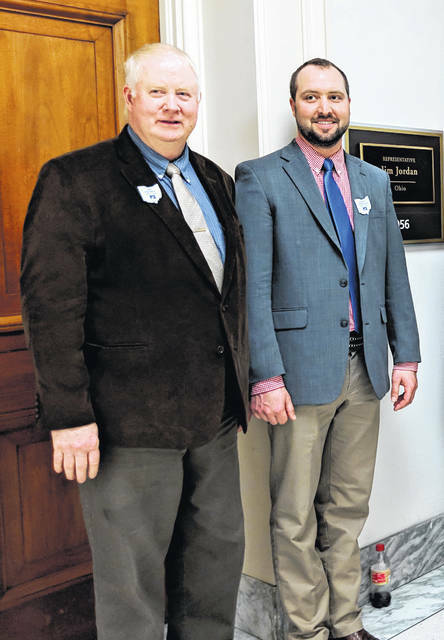 Dustin Converse, Union County Farm Bureau president, met with Jared Dilley instead of Representative Jim Jordan of Ohio’s 4th congressional district, who was unable to make the meeting, for his congressional visit on Capitol Hill. “We’re not putting on more fertilizer than we need,” said Converse, speaking about water quality issues to Dilley. Converse and his family are grain and cattle farmers in Marysville.